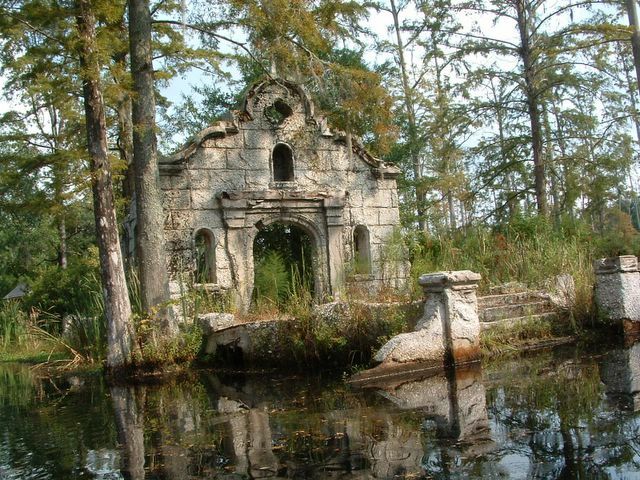 Facade of an old building in the cypress swamp in Cypress Gardens, South Carolina. You can rent canoes to boat through the swamp: I recommend it. See a view of the ruins of the side of the building. Just wondering, can you go up anywhere near the ruins, or is it surrounded by swamp?